The IES launches our first symposium for land condition professionals. Hear from experts at the cutting edge of research, policy and practice in the assessment and remediation of land, alongside ample opportunity to network with peers from across the sector and gain valuable CPD. This inaugural event will have presentations on topical issues within the sector, examples of practical application and case studies and close with a panel discussion of how the industry may evolve over the next 25 years. Are you an expert practitioner, remediator, consultant, academic, researcher, or a central, regional or local government officer working in land condition? Then this event is for you. Eric is a Chartered Environmentalist and a contaminated land consultant with 8 years’ work experience. He has worked in the North East of England and is currently working with Ramboll in Edinburgh as a consultant with Ramboll’s Site Solutions team. Eric’s academic qualifications include a BSc degree in Environmental Science (Maseno University, Kenya), MSc in Geo-Environmental Engineering (Durham University, UK) and he has successfully defended his Engineering Doctorate (EngD.) thesis for his research project titled ‘The impact of land contamination on human health’ at Reading University (UK). As part of his EngD research project, Eric applied physiologically-based pharmacokinetic and toxicokinetic models to estimate human exposure to selected toxic elements through oral ingestion, and demonstrated how the models can improve our understanding of human exposure to soil contaminants. 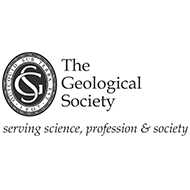 Nicola is a chartered geologist and scientist and has over 25 years’ experience within the environmental industry. 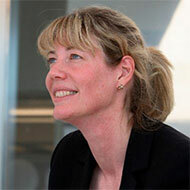 She is a project director at CL:AIRE and has responsibility for managing a number of industry initiatives. 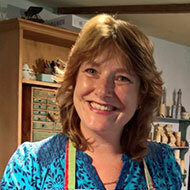 Nicola is the secretary of the Land Forum and the National Quality Mark Scheme Steering Group. 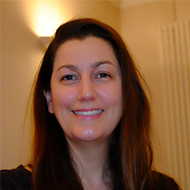 She performs the secretariat duties for the Sustainable Remediation Forum UK (SuRF-UK), SuRF - International and the Joint Industry Working Group for asbestos in soil and construction & demolition materials. She also sits on the editorial panel of the Quarterly Journal of Engineering Geology & Hydrogeology Journal. More recently, Nicola has been developing new training courses on working with asbestos in soil in line with the recently published guidance CAR-SOILTM (Control of Asbestos Regulations 2012: Interpretation for Managing and Working with Asbestos in Soil and Construction & Demolition materials: Industry Guidance). Peter is a geosynthetic specialist with over 25 years experience in geomembrane and associated products. As a consultant he specialised in contaminated land issues and now offers technical and commercial consultancy support in applications of specialised materials and services aimed at the sector. He is involved in both standards setting and advice to the legislative process through involvement in a number of standards committees. He is interested in brownfield and urban redevelopment and supports other organisations including the Confederation of Construction Specialists. 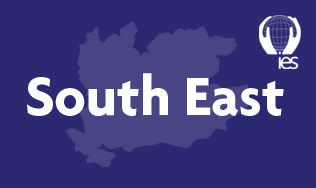 PAGeotechnical is also a member of The Radon Council; they supply The Radon Council with a full national service, on new build properties, which aids the management of radon gas issues in the UK. Paul is a Chartered Geologist with almost 30 years experience in ground investigation and assessment. 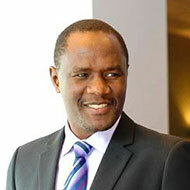 He has worked as a contractor, consultant and as a ‘client’, both in private practice and as a Government specialist. He currently manages a team of specialists in The Ministry of Defence, with responsibility for managing the risk to MoD from contaminated land and unexploded ordnance across the Defence Estate. Although he has dabbled in geotechnical aspects, the bulk of his experience is in contaminated land assessment. Paul is also a SiLC (Specialist in Land Condition) and recently became Chair of the SiLC Professional and Technical Panel. SiLC is a post-chartered professional body recognising those who specialise in land contamination assessment. Outside of work, Paul enjoys walking and climbing. 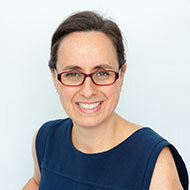 Naomi is a member of Defra’s National Panel of Experts on Contaminated Land. She has served on SoBRA’s Executive Committee, is on the Accreditation and Vapour Intrusion subcommittees, and is a SoBRA scrutineer. 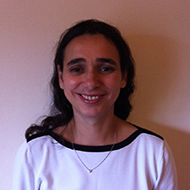 Naomi was a technical editor for the SoBRA publication “Summer Workshop Report 2013 Asbestos In Soil Risk Assessment” and is currently editing the proceedings of the Summer 2015 Workshop and writing up the proceedings of the 2017 Summer Workshop on Vapour Intrusion. She is part of the Project Management Team for Phase 2 of the C4SL Project." Martin is an environmental chemist with over 20 years of consultancy experience in brownfield and contaminated land regeneration. 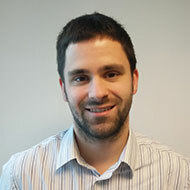 He has extensive experience in undertaking the formulation of conceptual site models, undertaking and managing preliminary environmental risk assessments, design, supervision and reporting of geo-environmental site investigations, detailed quantified risk assessment, hydrological/hydrogeological characterisation, outline and detailed design / supervision of land and groundwater remediation schemes. Martin is also experienced in waste material classification assessments, radiological site characterisation and environmental due diligence auditing. He has previously undertaken the investigation, characterisation and evaluation of three acid tar lagoons as Special Sites Under Environmental Protection Act 1990: Part 2A, on behalf of the EA. Since 2010 he has been principally dedicated to the Avenue Coking Works, acting as the NEC contract supervisor and designer on behalf of the Homes and Communities Agency. 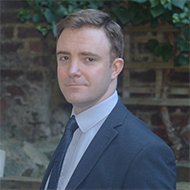 Harry, a Masters graduate of the Bartlett School of Planning, UCL is a chartered town planner now working as a policy officer for the Royal Town Planning Institute. As part of this role he runs the RTPI’s Urban Design, Politicians in Planning and Heritage Networks. He has also sits on the RIBA planning group and Heritage Alliance Spatial Planning Advocacy Group. 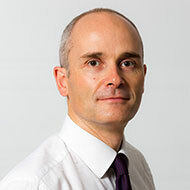 Over the last 2 years he has been working closely with RTPI members engaging with MHCLG (formally DCLG) on the numerous proposed changes to planning practice and policy. He has 9 years’ experience in local government previously holding positions as a Senior Planning Officer in Kent County Council, Medway and Gravesham Councils, dealing with a wide range of planning applications and development proposals. Lisa is a Chartered Waste Manager, Chartered Environmentalist and a registered Specialist in Land Condition, with over 20-years’ experience in waste management and land contamination. Lisa began her career working for a Local Authority involved with waste management, environmental protection and Part 2A. For the last 15-years, she has worked at NHBC assessing brownfield sites and remediation in both a regulatory and insurance context. Her current work involves providing early due diligence through the NHBC LQE service, for land developers and landowners on large and complex brownfield sites across the UK. Lisa was previously part of the steering group for Revision 2 of the CLAIRE Definition of Waste: Development Industry Code of Practice and she currently represents NHBC on the Land Forum. Lisa is a professional interviewer for CIWM and is co-opted as a member of the East Anglian CIWM Centre. Stephen has thirty years' experience in the investigation, assessment and management of asbestos and contaminated land in various roles. He has developed broad-ranging practical experience and expertise in the fields of both asbestos in buildings management and investigation and assessment of asbestos-contaminated land, recycled C&D materials and wastes. 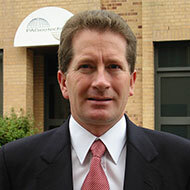 He is Chair (2011 to present) of the Joint Industry Working Group on Asbestos in Soil and Construction & Demolition Material, with responsibility for leading a broad cross-sectoral initiative to promote and guide the development and implementation of UK non-statutory industry guidance for the investigation, analysis, assessment, remediation and management of asbestos in soils. 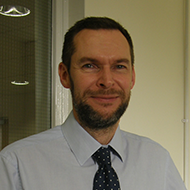 Richard is a widely recognised Chartered Civil Engineer, with 25 years of experience in the construction industry. He is a founding partner of both Leap Environmental and Veridata. 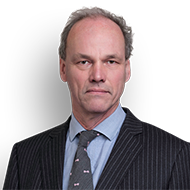 At Leap, Richard has undertaken site investigations on a wide variety of contaminated land projects, and designed numerous specialist remediation schemes for local and national government, property developers, and private companies. Veridata is an online data handling system designed by and for contaminated land practitioners. Both companies’ leading edge approach to brownfield investigation and development have been recognised with Brownfield Briefing Awards, in 2012 and 2015 for Leap, and in 2015 for Veridata. Kate is a Chartered Scientist with over 20 years of experience in the field of land contamination. She has investigated, remediated and provided risk management advice on a wide variety of sites ranging from small industrial units and road schemes through to refineries, pharmaceutical manufacturers and nuclear sites and in a variety of contexts including due diligence, planning, environmental impact assessment, environmental permitting and portfolio management. Her specialism is human health quantitative risk assessment and she has been instrumental in developing and maintaining company-generated sets of Generic Assessment Criteria throughout her career. She is currently one of ten Tier 2 toxicologists on Phase 2 of the recently commenced C4SL project. David’s environmental work covers a whole range of issues – litigious, regulatory, planning, public law, criminal and transactional work – over all areas including contaminated land (two leading appeals, Sevenoaks and Sandridge), water (Cambridge Water), waste (SRM, REPIC), air (Coalite), odour (Dobson), noise (Dennis, Watson), fishing (cockles, polluted trout streams, and Mott about salmon licences), and windfarms (Macarthur and public inquiry). He has worked on many environmental group actions. David has appeared in courts at all levels, including the European Court of Justice (Bromley) and the House of Lords (Cambridge Water, UU). He also appears in criminal courts on environmental matters. He has also instructed on insurance policy issues in the environmental insurance context, including professional indemnity matters. Claire is a geotechnical engineer and contaminated land specialist. Specialising in the front-end aspects of brownfield redevelopment which resulted in becoming a Specialist in Land Condition (SiLC) in 2001 and more recently a Registered Suitably Qualified Person (SQP) for National Quality Mark Scheme for land Contamination Management. After working for a large Global consultant for nearly 20 years, where she was the UK Remediation Services (RS) Practice Area lead and worked on high profile projects such as London Gateway, Crossrail and HS2 she became an independent consultant and set up the Geoenvmatterswebsite. She has worked closely with CIRIA (Construction Industry Research Information Association) for many years and has chaired eight CIRIA Project Steering Groups covering topics such as UXO and asbestos in soils. Andrew is a Chartered Scientist with the Institution of Environmental Sciences and Chartered Environmentalist with CIWEM. 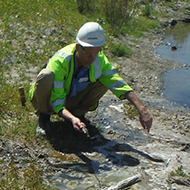 He has over 10 years experience of land contamination investigation and assessment. 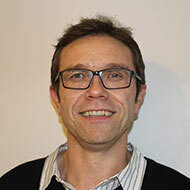 He is a technical specialist within Atkins’ Contaminated Land and Hydrogeology practice. Andrew manages a broad range of investigations and risk assessments for Aktins’ energy legacy, property development, and transportation clients. He also acts as a specialist technical lead for human health, vapour intrusion, controlled waters, and ground gas detailed quantitative risk assessments under planning and Part 2A scenarios. 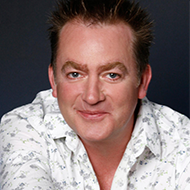 As part of his technical role, Andrew manages Atkins ATRISKsoil service. He manages a continual update programme to provide the industry with scientifically robust human health generic assessment criteria for soils and volatile contaminants in groundwater. 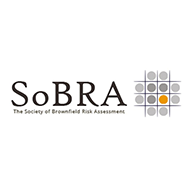 In 2017, Andrew co-authored the SoBRA report ‘Development of Generic Assessment Criteria for Assessing Vapour Risks to Human Health from Volatile Contaminants in Groundwater’. He used his vapour risk assessment experience to complete a comparison of GAC derived using CLEA against those using the Johnson and Etteringer Model. In 2015, Andrew won the Brownfield Briefing Award for ‘Best Young Brownfield Professional’ for his contribution to industry. This symposium is focused on knowledge exchange, therefore there is only space for one more exhibitor. Are you interested in exhibiting? Contact Rhianna for more details +44 (0) 207 601 1920 or complete the booking form. Sponsoring the Land Condition Symposium 2018 provides you with an excellent opportunity to connect with respected members of the environmental sector, to build brand awareness and show your company’s support and affiliation for the land condition sector. If you are interested in sponsoring the launch of this new symposium please contact Rhianna for more details +44 (0) 207 601 1920 or complete the booking form.